Super cool distressed dye and panel construction make these fleece pants cozy yet stylish. Front pockets. 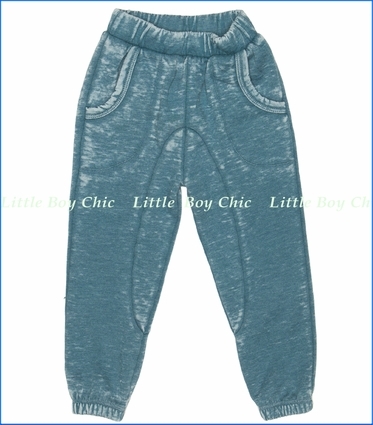 Wide elastic waistband is comfortable and easy to pull up. Elastic cuffs.